(pt. -1) STARTING OVER @ JESUS: A CULTURE OF REINVENTION 0️⃣ ? ? WE LIVE IN A CULTURE OF REINVENTION. We love watching people trying to erase their past in hopes of constructing a brand new identity. We watch The Bachelor (new love), Extreme Makeover (new look/lifestyle), The Voice (new dream), Breaking Bad (new career, sans rules), Shark Tank (new wealth). 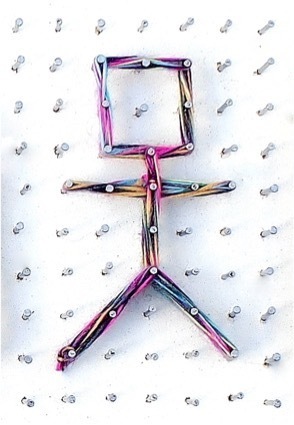 We carefully curate a more idealized persona on social media. We switch careers/lovers/looks/friends/churches on a whim. Each time we do, it’s an opportunity to for us to reinvent ourselves. The idea of reinventing yourself is powerful and attractive. It’s exciting. There’s a sense of movement to our lives when we think of not being bound to the past anymore and having the promise of starting over. Jesus came so you could start over. His life, death and resurrection is God’s way of making possible the reinvention of the human soul. Not through ourselves, but through Him. The Apostle Paul said, “Therefore, if anyone is in Christ, he is a new creation. The old has passed away; behold, the new has come?” [2 Cor. 5:17]. Today with so many possibilities to reinvent ourselves in so many key areas of our lives, why do we need Jesus anymore? He didn’t promise us a new look or career or bank account. Perhaps it’s because the reinvention of your soul is the single most important area of your life that needs to start over. Your soul controls your thoughts, your motivations, your actions – it is the source of your life, both here and in eternity. Jesus’ reinvents us through his life coming into our life. Not through a program to make us into a new person, but through the Holy Spirit living through us to make us right and new before God. 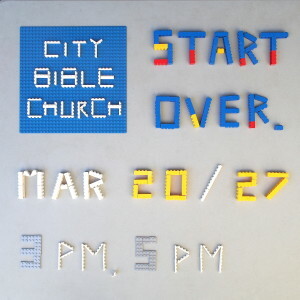 START OVER: GOD’S MESSAGE TO YOU ✞ ? “START OVER” ARE THE TWO MOST IMPORTANT WORDS GOD WANTS YOU TO HEAR. The reality is that God’s words “start over” aren’t for those who define their lives by the words “I’m fine.” Jesus Christ did not come to us in human flesh, die on a cross and then rise from the dead for those who feel they’re fine on their own with how things are and where things are headed. 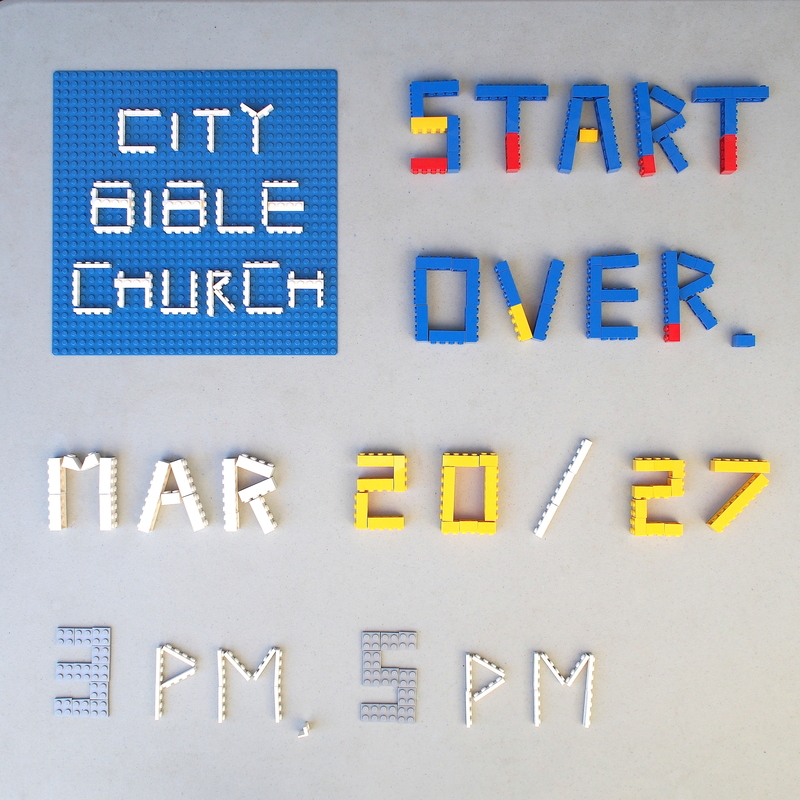 YOU ARE INVITED TO START OVER WITH GOD AND WITH OTHERS. On Sunday, March 20th and 27th we all start over. Come join us for the launch of a new community called “the church” and hear God’s two most important words to you. 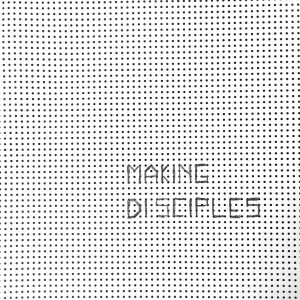 RE: MAKING DISCIPLES, ARE WE SUCCESSFULLY MISSING? > We can succeed at becoming good servants of other people in church. > We can succeed at helping the poor through short-term missions trips abroad. > We can succeed at studying the bible and quoting smart theologians. > We can succeed at living holy lives. > We can succeed at bringing the best dish to the Sun. potluck. > We can succeed at raising happy children. > We can succeed at voicing our concerns over the political and moral future of America. > We can succeed at finding new friends at church to fellowship with. > We can succeed at becoming a more prayerful people. 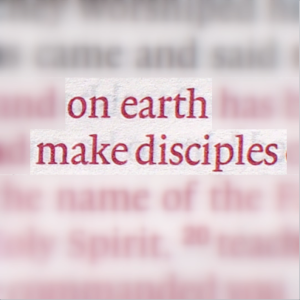 But are we succeeding at making disciples? With the people right in front of us in the place where we live? Or are we succeeding in the other areas of the faith while missing our main mission? How many of us know people that would name us as the person who brought them to Jesus Christ and was pivotal in them becoming a disciple? THE GUY NEXT TO ME WAS 2/3 RIGHT. He was right. It’s both. “…but there’s another (maybe more important) word I would add to that. The word “necessary”. 5 min. later, he said he was still trying to wrap his mind around why I said the word “necessary” in describing the urgency of planting a church to make disciples of the Lord Jesus Christ. 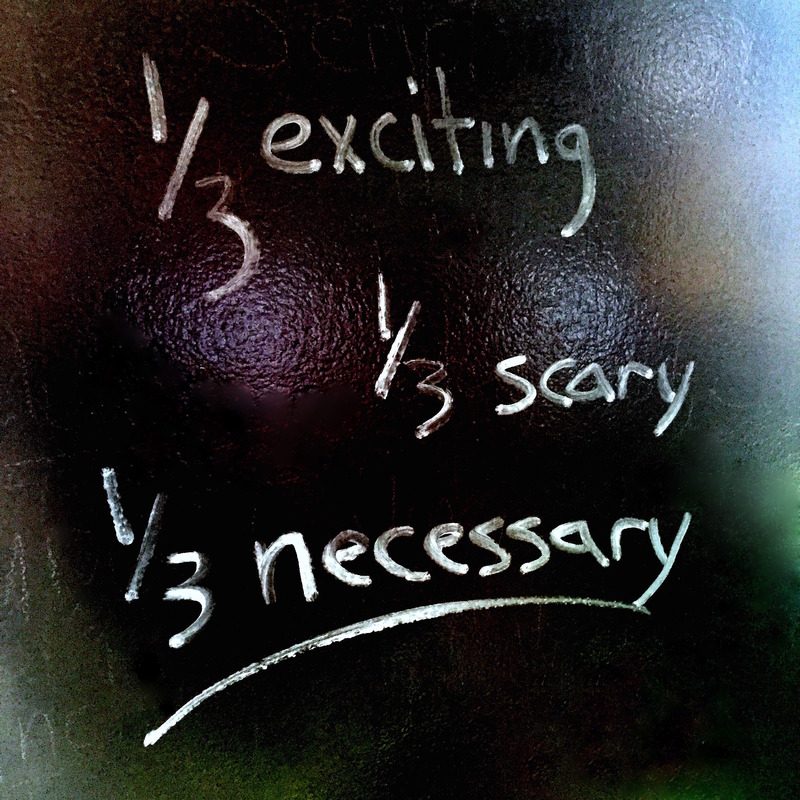 Do we believe “necessary” is the final 1/3 of “exciting” and “scary”? 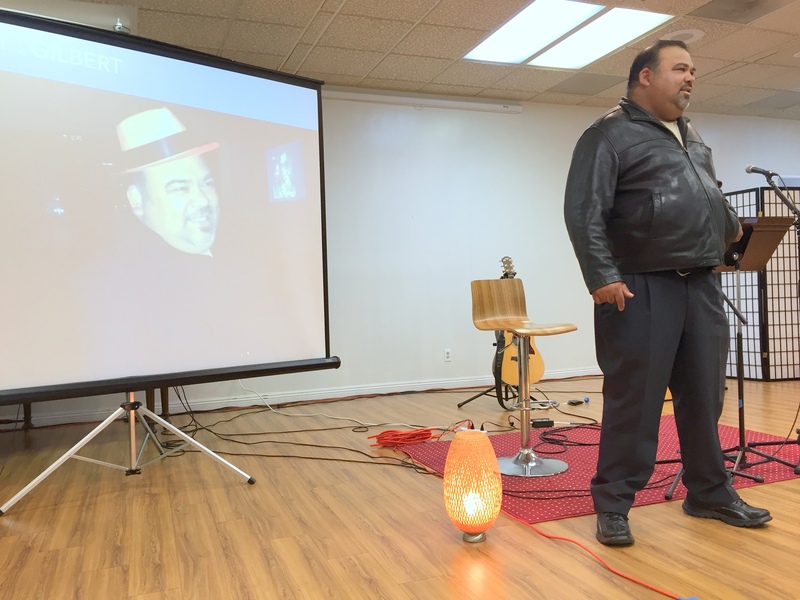 “DOWN-FOR-THE-COUNT” WAS HIS ART PIECE IN REMEMBRANCE OF THE NIGHT HE ALMOST KILLED A MAN WITH HIS BARE FISTS. The night we met Gilbert, he celebrated death. Gilbert went from death to life when he became a disciple of Jesus Christ. 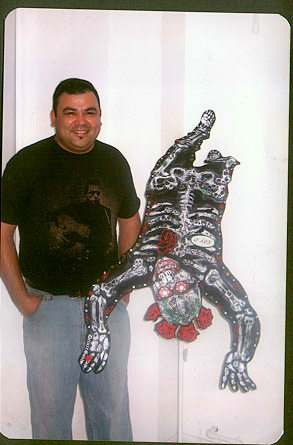 Today, he no longer uses art to celebrate death. Instead, he uses it as an instrument to glorify God in the church and reach others for the advancing of God’s kingdom. He’s an inspiration. He’s a brother. He reminds us that Jesus’ death on the cross gives us spiritual life to share with others. 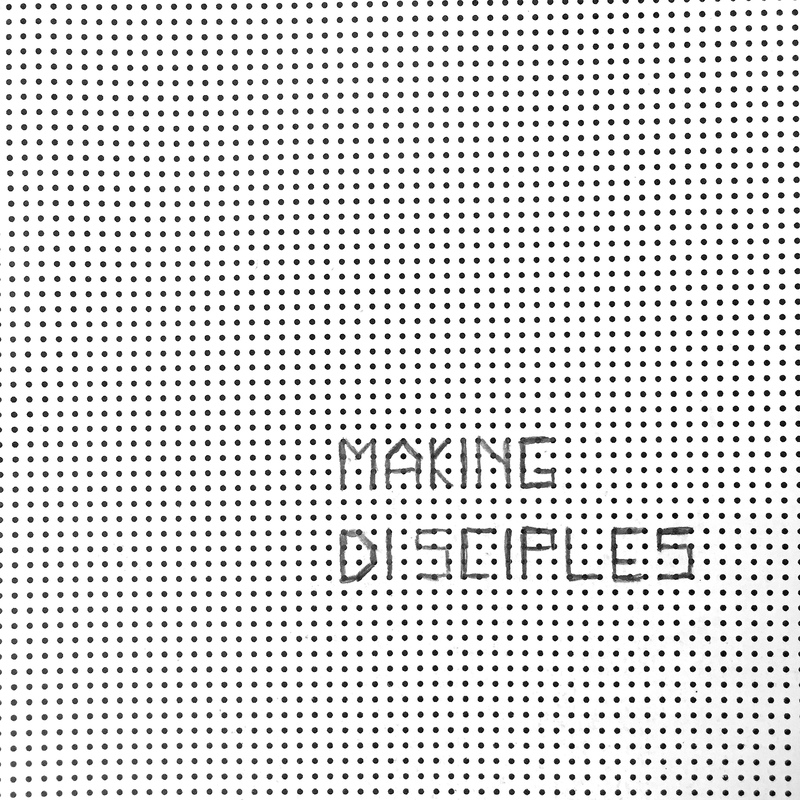 MAKING DISCIPLES (pt. 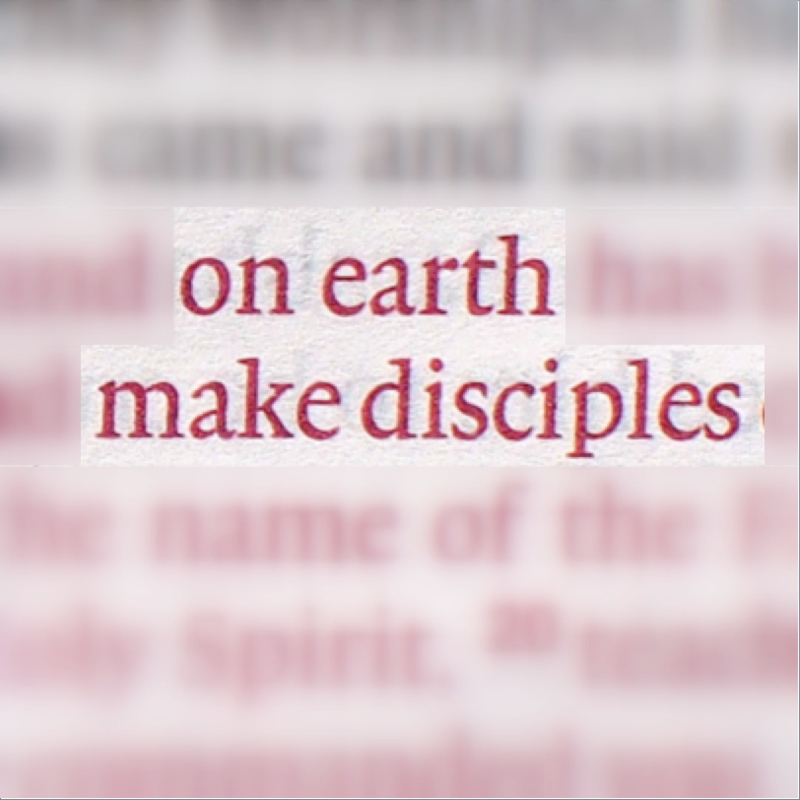 3): EVERYONE IS MAKING DISCIPLES ? 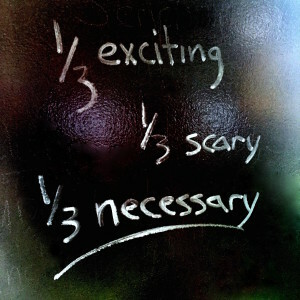 Is the church making disciples w/the same urgency?